Big Apple Circus New York - Non-Stop Action, Great Family Entertainment! 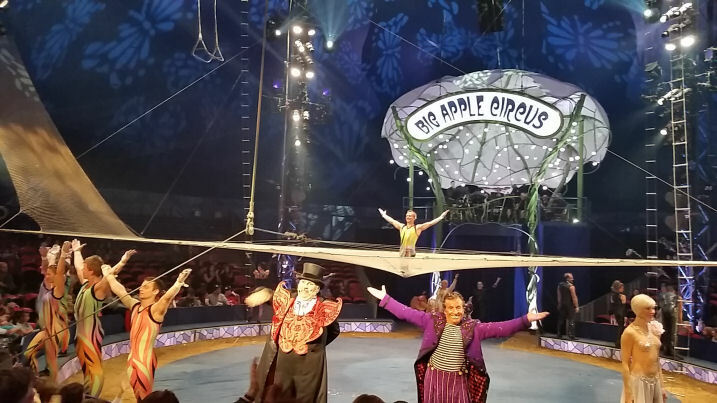 Big Apple Circus New York – Non-Stop Action, Great Family Entertainment! It has been about two years since I first viewed the spectacular Big Apple Circus at Lincoln Center in Manhattan. Not only was it my first time at the Big Apple Circus it was my first time attending an event at Lincoln Center. My family and I had such a great time with this fantastic up close and personal circus that I was super excited when they once again invited me to the show this year. 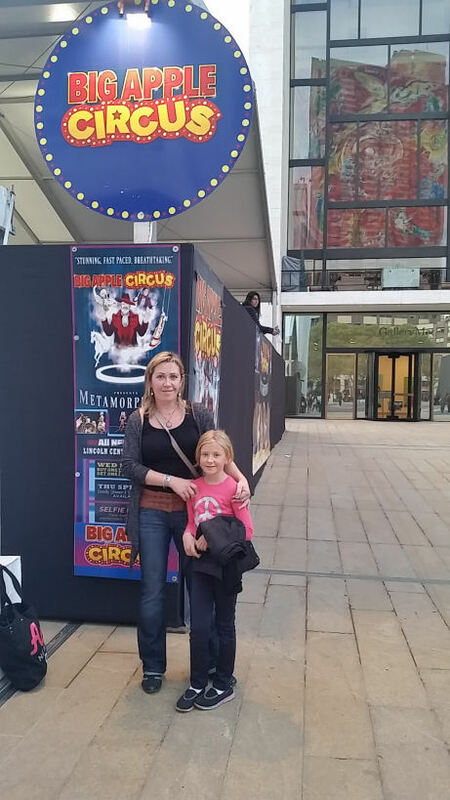 Yesterday I attended the Big Apple Circus with my daughter, her close classmate and her mother. This years Big Apple Circus is titled “Metamorphosis” under the Big top. I have to say the people that are involved in putting on the show for the Big Apple Circus really know what they are doing. From beginning to end we were on the edge of our seats while viewing the out of this world spectacular acts. There were the highflying trapeze artists gliding through the air almost effortlessly. The mind-boggling flexibility of the joint bending contortionists who did something that was purely unbelievable. Sorry but I cannot ruin the surprise. Then there was the highflying act of the Anastasini family who had me saying “Holy Cow!” more than once. And of course there was the hilarious humor of Francesco the Clown who had the kids and parents a like in stitches. Overall everyone attending the Big Apple Circus yesterday enjoyed himself or herself immensely. I think it is a combination of being up close and personal to all of the acts no matter where you sit and the uniqueness of the performers. Unlike other circuses that are held in large arenas the Big Apple Circus is intimate and personal. I highly recommend the Big Apple Circus to everyone. You will surely have a time of extreme joy and excitement. Check out the below gallery for more photos and program from the Big Apple Circus. To view the gallery, simply press the right or left arrow on the image to move to the next image. Dates: Shows run through January 11, 2015. Disclosure: We received complimentary admission to the Big Apple Circus. Regardless, I only recommend products or services I love and believe will be good for my readers.